Ben Folds Five: Chapel Hill, represent! I think one reason I was able to write this book so quickly was that I’d already been writing chunks of it for 20 years, kind of. Not specifically for “Losering,” of course. But Ryan emerged from the Triangle music scene, which I’ve been covering for the newspaper since the early 1990s. That gave me a front-row seat to watch a lot of very cool things from close range, like the improbable rise of Ben Folds Five. The trio emerged in the mid-1990s as a genuine oddity, a three-piece pop band with piano as centerpiece instrument. I wrote a bunch of stories and reviews about them for the N&O, as well as a short feature for Billboard magazine when their debut album Ben Folds Five came out in 1995. Like everyone else, I had no idea just how huge they were going to be back then. But danged if they didn’t go and get enormous in 1997-98, with a platinum album and the first “Saturday Night Live” appearance in local-music history. Somewhere in there, Folds also found time to contribute piano overdubs to Whiskeytown’s never-released 1998 album Forever Valentine. Ben Folds Five ended abruptly in 2000, citing burnout as the reason for disbanding. 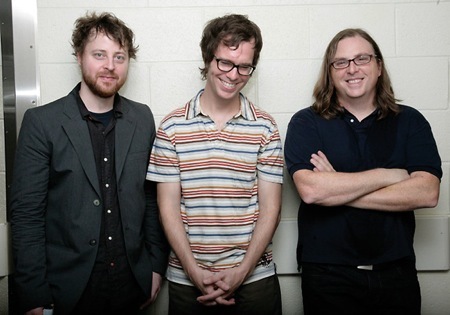 But the trio of Ben Folds, Darren Jessee and Robert Sledge is back together, with their first new studio album of this century. 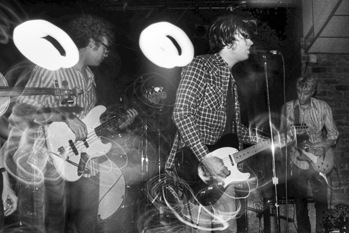 You’ll find details of that, and also a 2008 story previewing a one-off reunion show they played that year in Chapel Hill, here.